Lock in a great price for Raon Guesthouse – rated 9.2 by recent guests! The heated floors were very warm; the owner was very accommodating; the sleeping mats were comfortable. 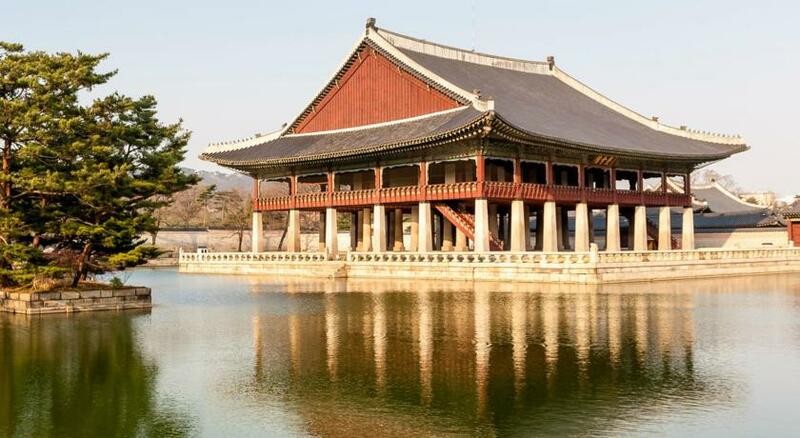 It is very close to two palaces, and the area around it has lots of hanbok rentals, restaurants, and other nice places. The location is the main selling point for this property, so I was willing to be in a stark place; however, in addition to the nice location, this is a genuinely nice hostel on it’s own. For young adventurers who are really just looking for a place to sleep after a full day, this is an ideal place. Raon was a great place to stay and unexpectedly a great base to get around the city. Being close to the palaces and Insa-dong meant easy access to great food and art, and since it was off of Line 3, that meant easy access to Myeongdong shopping and down to Gangnam. The staff was also excellent and had umbrellas ready on a rainy day. 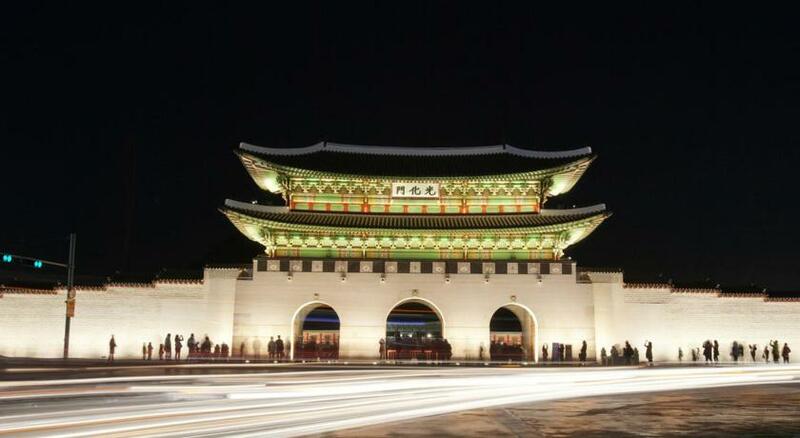 I highly recommend Raon, especially if you want a more traditional and cultural experience! A lovely traditional hanok in a very quiet street. The place is so calm and peaceful, it’s hard to believe one is in the center of Seoul, a few steps away from the major tourist attractions (Changgeyongung palace, Changdeokgung palace, Buchton hanok village...) But the best part is the host : very nice, fluent in English and always helpful. The staff was very kind. The guest house was a hanok house(koran traditional house), so it was like home. However, the facility was up to date. 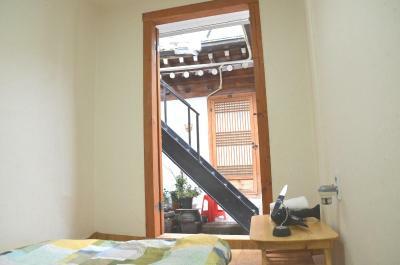 It was in a great location, conveniently near Gyeongbokgung Palace and Bukchon Hanok Village. Staying at the Raon Guesthouse was like staying in one of the traditional Hanok houses we had seen. The underfloor heating was a warm welcome back from long days exploring in the early spring chill, and the host was very friendly and accommodating. Our host was very attentive and a fluent english speaker. 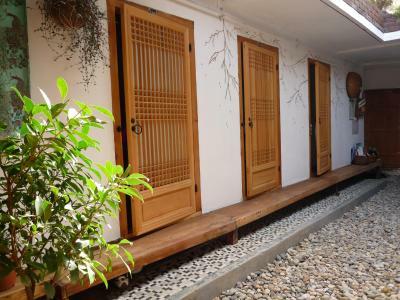 The hanok style rooms are fun for short stays and for the experience. The property is right next to bukchon hanok village and the National Museum of Modern and Contemporary Art. Set in a traditional Korean house, building Raon Guest house features guestrooms with futon bedding and free Wi-Fi. 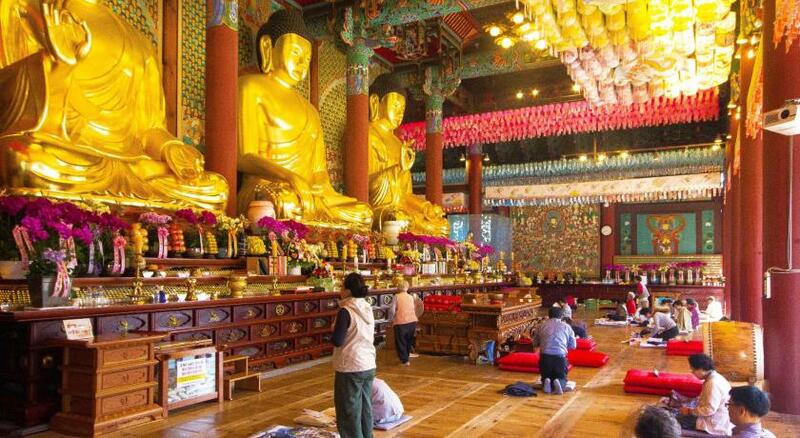 The property is 1,200 feet from Gyeongbokgung Palace. Bukchon Hanok Village is 1,650 feet from Raon Guest house. 2,300 feet away is Anguk Station (Subway Line 3) and Insa-Dong. Bukak Mountain is 0.6 mi away and Han River is 4.3 mi from the guest house. All rooms come with air-conditioning, under floor heating and a seating area. 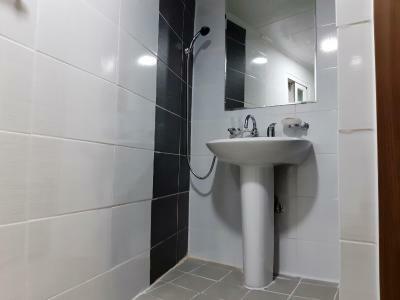 Guests have access to shared bathroom and shared toilet facilities. A common lounge, kitchen and dining area is also available for guests to use. Luggage storage facilities and chargeable laundry services are provided. When would you like to stay at Raon Guesthouse? Room for 1 features traditional Korean futon bedding, air-conditioning, heating and a seating area. Guests have access to shared bathroom and shared toilet facilities. Room for 2 features traditional Korean futon bedding, air-conditioning, heating and a seating area. Guests have access to shared bathroom and shared toilet facilities. Room for 3 features traditional Korean futon bedding, air-conditioning, heating and a seating area. Guests have access to shared bathroom and shared toilet facilities. Room for 4 features traditional Korean futon bedding, air-conditioning, heating and a seating area. Guests have access to shared bathroom and shared toilet facilities. Our guesthouse is Korean traditional house. There are 7 rooms and 3 shared bathrooms. You can feel how Korean people live in past. Owner is young couple who likes traveles. Especailly male owner like to talk and drink with travelers. Sometimes we get the small party If someone bring the food and want to be together. House Rules Raon Guesthouse takes special requests – add in the next step! Debit card Cash Raon Guesthouse accepts these cards and reserves the right to temporarily hold an amount prior to arrival. Raon Guesthouse accepts these cards and reserves the right to temporarily hold an amount prior to arrival. A lamp in the room would be a great addition. The bathrooms were not especially convenient, and the common area was not heated. There was this distinct smell in the room. Not sure if it was the mosquito net or the material used for the interior. It was not exactly foul smelling, but just distinct. The fact that it is a traditional house, but with good washroom facilities. I also loved the rooftop. The owner is very polite and helpful. He has helped us carrying very heavy luggages to our room and given us some very useful advice. I wasn’t sure about shared bathroom before coming but it turned up alright as we were given a room in a two bed apartment setting, so there’s a toilet inside the ‘apartment’, only to share with guests in the other room - if no one stays there, you have the bathroom on your own! The weather was extremely hot when we stayed in Seoul, so we didn’t use the lounge/kitchen area in our ‘apartment’, but used the communal one upstairs - which has air conditioning and telly, etc. We had our own breakfast there and enjoyed it. The area is quite safe and only 10 minuets walk to the airport shuttle bus stop. Extremely close to several historic sites but also surrounded by amazing museums-a perfect location. The host was very friendly and the facilities were far better than expected. Raon guesthouse has a very good location: many popular sightseeings are in a walk way (Insadong, Gyeongbokgung, Gwanghwamun etc.) 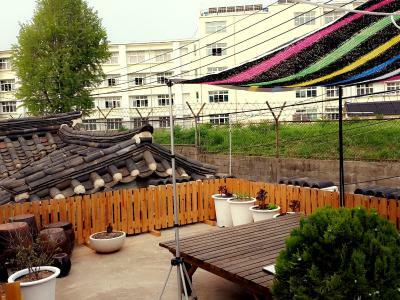 Also the street, where guesthouse is located, opens all the authentic and traditional view of Korea. We got a big pleasure walking around there every day. And staying there you should take a cup of tea/coffee on the second floor, which looks like a roof of the house. You will certainly like it! :) Mr.Ryu is a hospitable and polite man, who makes everything for your comfort. The room is small, but cozy and clean. It’s too enough if you walk all the day around the city and come there for sleeping at night. The room was very small and the underfloor heating meant that we got too hot at night. There is nowhere to sit on a chair unless you go up the narrow steep stairs and the room up there was overheated also. The host was very helpful, he met us and walked with us to the property. The location is very convenient, being close to palaces and the Hanok village. There was a fridge and a kitchen we could use.